I don’t really love to bake. I am more of a chef. I like to randomly add ingredients to my dish I’m making. Baking is a totally different ball game. You need to measure, be consistent, the dough needs to soft, but not too soft, etc etc etc. Way too complicated for me! My daughters saw Christmas cookies in the store the other day and asked if they could have them. I’m all for allowing your children to have a treat here and there, but I have a hard time giving them store cookies. I read the ingredients and see the Nutritional Label and I know that I could have a healthier version at home … well at least try. So I picked out a recipe. 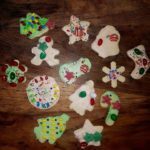 The girls picked out the treats for the top of the cookies and we went home to bake. 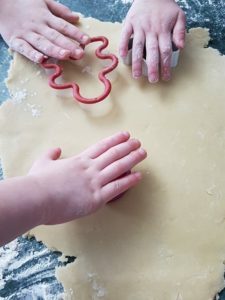 The recipe I chose was Christmas Bean Cookies from the Super Healthy Kids website. A healthier sugar cookie recipe that was made with white beans. What did I choose? Is this just another “healthy” cookie recipe that doesn’t turn out and my kid’s hopes of eating a cookie at the end are shattered because they are burnt and I have to throw them away? How are our tummy’s going to feel? Well, we won’t know until we try it! There is definitely more work to be done with these cookies than regular sugar cookies. Pureeing the beans to the right consistency and forming the dough so it’s not too soft. But I think I did it correctly! I did use less sugar then the recommended 1 cup and wanted to use coconut flour … but didn’t want to try to substitute the flour on my first try with the cookies (so I’ll do that another day!). My daughter’s helped me roll out the dough and picked out their cookie cutters and had fun making different shapes with the dough. I always under cook my cookies so they are a bit softer. I tried one first just to make sure they were doing to taste OK and to my surprise … they were delicious! They were soft. They didn’t have a ‘bean’ flavour. They were ready to decorate! 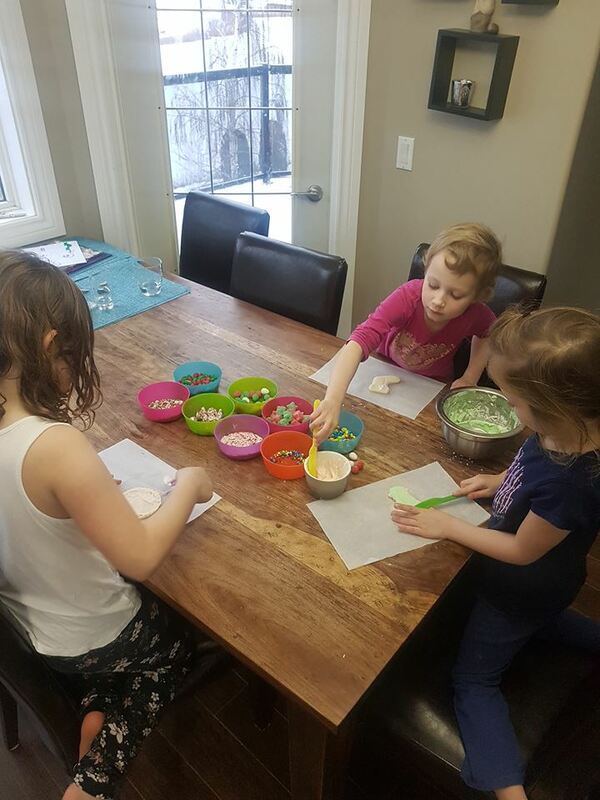 My girls wanted pink and green icing. I tried making the recommended icing on the recipe, but it was pretty runny and I didn’t like it, so I went to my go- to recipe with icing sugar and added a little pureed cherry juice and spinach juice (instead of added food colouring). 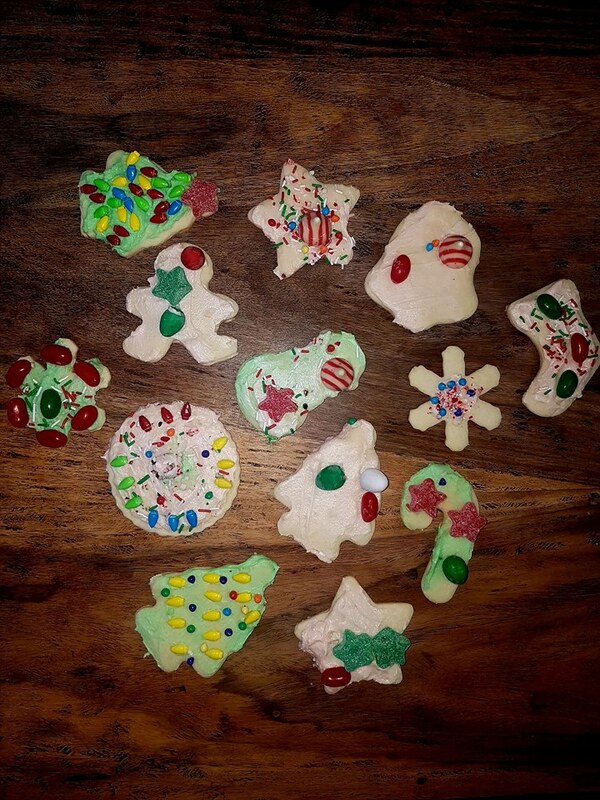 My girls decorated their cookies as they chose. I didn’t help. I didn’t tell them how many candies or sprinkles to put on them. I let them have their moment and fun. This is a hard thing to do, especially as a trainer and an exercise physiologist, but knowing that the cookies were a “bit” healthier having white beans in it, I just let it go! I loved my afternoon with my girls. Listening to Christmas music, watching my little bakers sing and decorate brought pure joy to this mom’s face! My name is Rachelle and I am the owner and founder of Momentum Health & Wellness . 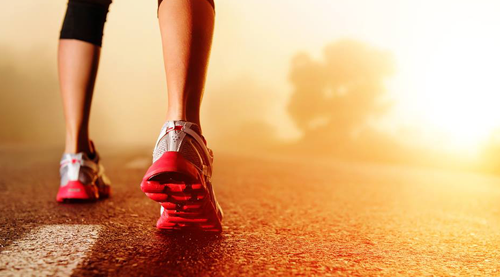 I am devoted to inspire and promote health and wellness to individuals and families. I want to create a community where people feel motivated to share their wellness journey and to encourage one another to be positive role models in their home, at work and in the community. I offer prenatal fitness classes, postnatal fitness classes, fitcamp, personal training, injury rehabilitation, prenatal yoga and ladies night out yoga and corporate wellness. ← Motherhood: What Are We Trying to Prove?